Writing advice is generally pretty timeless. Fundamentally, little changes between the classics written hundreds of years ago and the classics written today. Sure, there might be some new way to go about creating plots, or there might be a scientific breakthrough that tweaks a setting or two, but the one thing that remains constant throughout is characters. Complex characters have always been interesting, even if it can be a challenge to create them for a story. 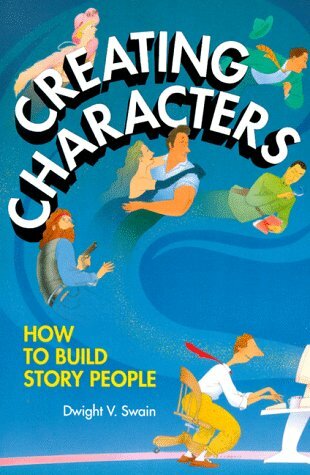 This is where Creating Characters: How to Build Story People comes in to help. While there is plenty of great advice in this book, I did find that it to be somewhat dated in a few spots. We’re now almost 30 years after this book was initially written, so the author’s advice for writers working on radio plays might work for someone doing podcasts, but not much else. Similarly, there are tons of great examples of characters written since 1990, but there were also many examples contained in the book that I had no reference to understand. It didn’t help that most of these examples were rapid-fire lists that didn’t explore the details of what made the character any good. I would definitely recommend this book to any authors who are starting out and trying to refine their craft. I’ve read plenty of stories that certainly could have used some of the techniques gathered here. Some of these concepts were relatively basic, but if you’ve just picked this book up and only have it for an hour, the absolute best advice contained in it is in the last chapter. I don’t know how many stories I’ve read where I’ve been pulled out of the story because my suspension of disbelief broke. Solving this problem with better characters can do wonders for a writer’s story. Some solid advice that can help many amateur authors on their craft, I give Creating Characters 3.0 stars out of 5.